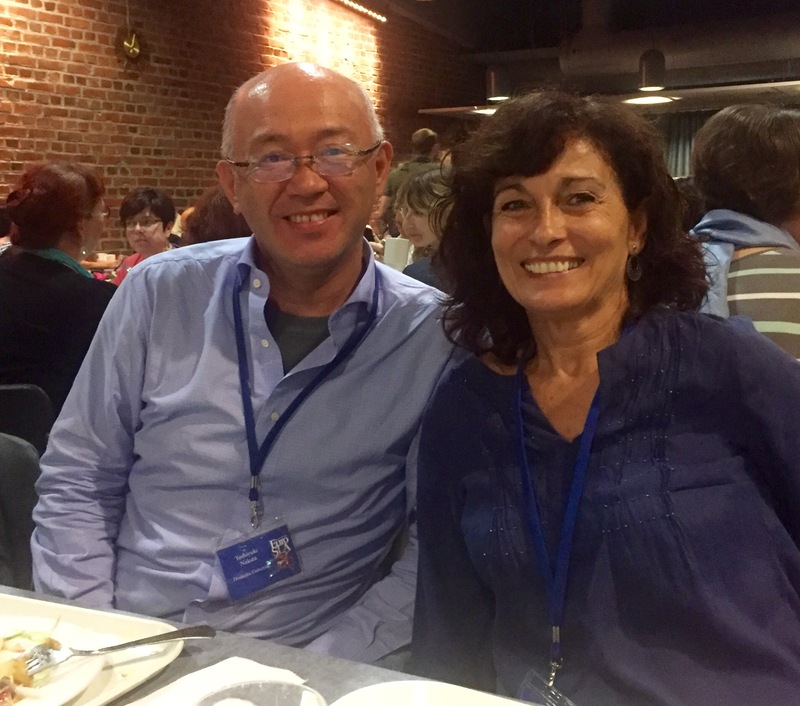 The winners of the 2016 EuroSLA Distinguished Scholar award, Carmen Muñoz, and of the 2016 EuroSLA Yearbook prize, Yoshiyuki Nakata. EuroSLA annually sponsors a number of workshops organised by members of the associoation. More information is available here. Since 2014, EuroSLA annually presents a distinguished scholar award. 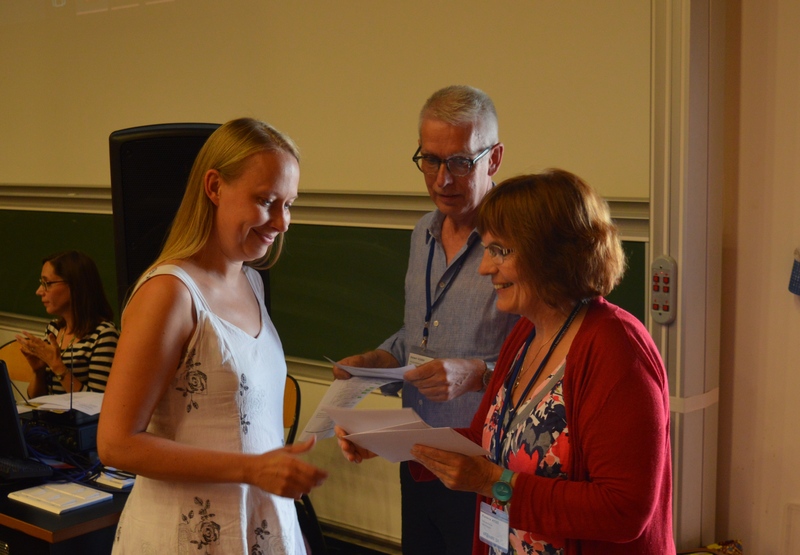 An annual prize is awarded for the best contribution to JESLA (previously the EuroSLA yearbook). Kirsti Pällin (Tallinn University), one of the winners of the 2015 student travel grants, receiving her grant from EuroSLA president Florence Myles and treasurer Folkert Kuiken.